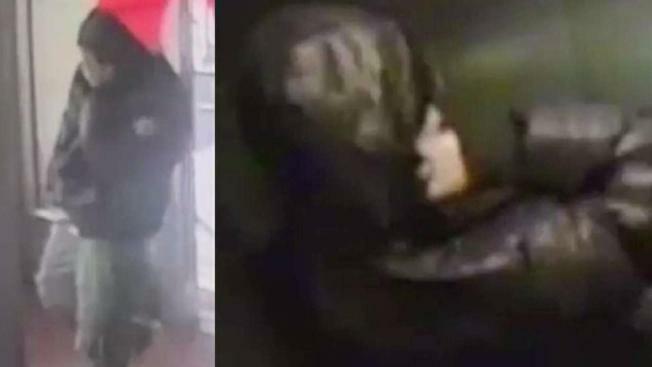 The NYPD is looking for a man it said followed an 83-year-old woman home, then stole her cell phone and wallet. Michael George reports. The NYPD is looking for a man it said followed an elderly woman home, then stole her cell phone and wallet. The man followed the woman, an 83-year-old cancer survivor home on Wednesday night at around 10:00 a.m., near West 117th Street and St. Nicholas Avenue in Harlem, according to authorities. After getting into the elevator with her, police said the man knocked the woman -- a cancer survivor -- down in her hallway. "He pushed me...threw me on the floor and took my wallet," she said. After robbing her, police said the man discarded her purse in the stairwell before fleeing with her phone and the $10 in her wallet. He allegedly ran down St. Nicholas Avenue toward West 116th Street. The victim said if she had been hit by the mugger, she would have hit back. She also said that she is not afaid of anything. The robber is still at large. Anyone with information is asked to call Crime Stoppers at 1-800-577-TIPS.